Blackmagic BMPCC 4K review - antoniocudemos Webseite! The Pocket Cinema Camera 4K (BMPCC 4K) is a great camera for filmmakers with a budget. It’s around $1,300. It’s very handy and the usability is great. Like most Blackmagic products, the quality of the images is great. It’s uncompressed 4k. A touchscreen which is bright and easy to use. Multiple storage options with a good selling price. 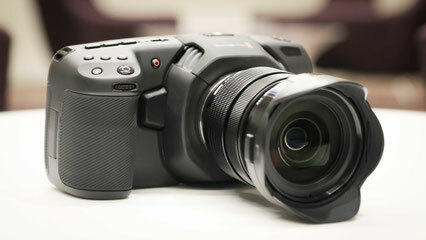 You don’t have however a continuous autofocus and the battery life, is like other Blackmagic products not great. This camera has a superior video quality than other mirrorless cameras. It’s for sure the cheapest and smallest camera, by far. It will give filmmakers optios when shooting, with the uncompressed RAW DCI 4k video.